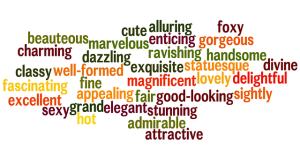 Adjectives are wonderful words. A few well-used adjectives can add spice to a passage of writing. However, a few poorly used adjectives can lead to disaster, and two of the easiest ways to misuse adjectives are to either use too many or to use adjectives that are just over the top.